In this guide, you will learn how to change the engine air filter on a Mazda. The pictures and video clips on this guide were recorded on a Mazda 5, but these instructions will help owners of Mazda 3, +, CX5, CX7, CX9 as well which have the same setup. The same air filter fits several Mazda engines including the 2.0L and 2.5L engines. You will need 15 minutes to replace the engine air filter on a Mazda. Follow these instructions to change the engine air filter on a Mazda. Park your Mazda. Turn off the ignition. Pull the hood release found under the dashboard on the driver's side. 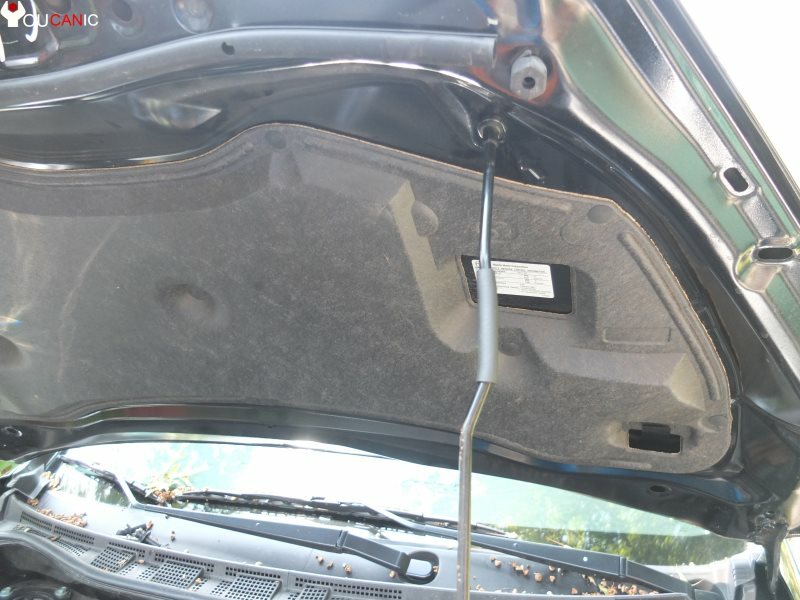 In Mazdas, the engine air filter (air cleaner box) is in the engine bay. It is located on the left/driver side of the engine. Here is a close-up picture of how the air filter cleaner box looks like. To remove the air filter you first need to release the two metal clips that secure the air filter housing. Open the air filter housing and pull out the old filter from your Mazda. Check out how dirty your Mazda 5 filter is. If your Mazda air filter housing is dirty clean it up and even vacuum it if necessary.Reinstall the new filter. Note: Pay attention to the orientation of the old filter. Also, make sure to slide the two tabs on the back of the housing before you close up the housing. Note that if the two tabs aren't in the right slots, you won't be able to lock the air filter housing again. What is the part number for Mazda air filter? The air filter part number is different for each Mazda depending on year and model. We have a few part numbers below for your reference. Verify the part number by removing the older filter or in your owners manual. Can I change the engine air cleaner myself on a Mazda? Yes, you can. It is very easy. In most cases, it only takes about 15 min and no special skills are required. What is the recommended engine air filter replacement interval? Change interval for the engine air filter is every 12,000 miles. For most drivers that will be about once a year. How do I know that I need to change the engine air filter on my Mazda? 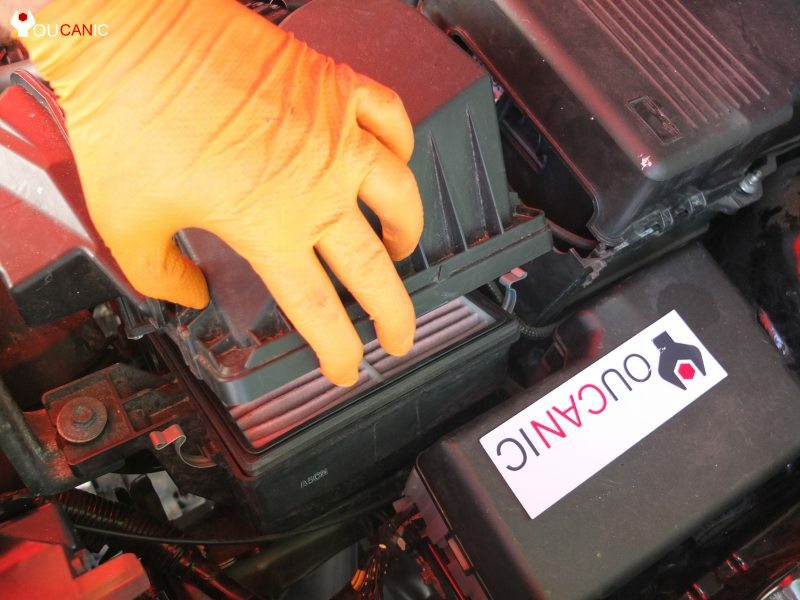 When was the last time you changed your Mazda's engine air cleaner? If it has been over a year you need to change it. Symptoms of a bad engine air filter? Change your Mazda engine air filter at least once a year or every 12,000. It is easy and only takes 15 min. You don't need any special tool to change the engine air filter on a Mazda. Instructions on how to chance the air filter are very similar for Mazda 3,5,6, CX-5, CX-7 and CX-9.